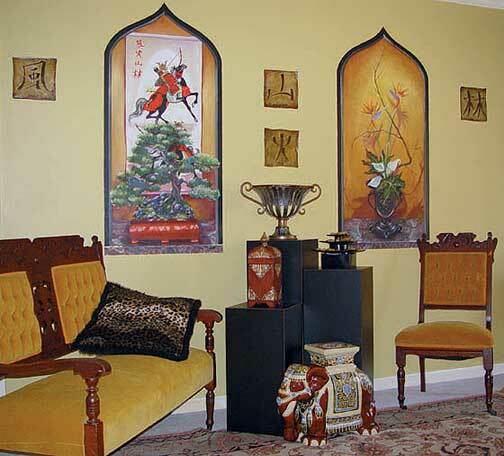 Set an exotic mood for your decor with matching Asian inspired wall niches. 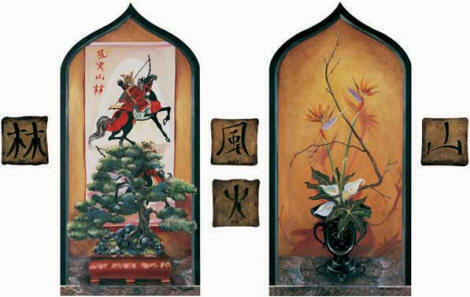 Painted in trompe l'oeil (deceive the eye) style, one niche depicts a bonsai tree in front of ancient art and the other an ikebana flower arrangement. In addition to the niches, four Oriental symbols representing fire, forest, mountain and wind are included. With your theme set, have fun decorating with the many Oriental accessories on the market today.